Novelist, Playwright, Film Historian, New England Historian and now Biographer, Jacqueline T. Lynch is a multi-talented artist who also brightens up blogland with three always interesting and intelligent blogs: Another Old Movie Blog, New England Travels and Tragedy and Comedy in New England. 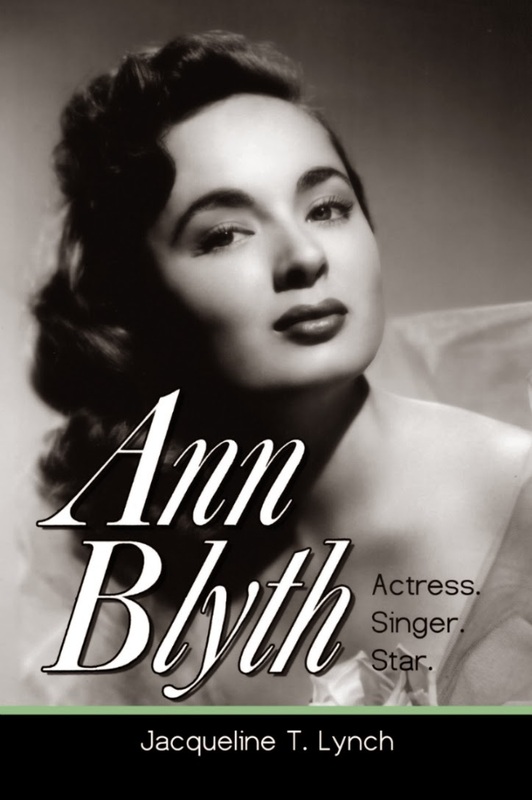 Ann Blyth: Actress Singer Star is her most recent book. It’s a thorough in depth fascinating look at the career of the beautiful, diminutive in height, but big in talent and compassionate actress. Blyth made 32 films: dramas, comedies, adventure, and musicals. She could act, sing and dance, yet today is mainly remembered for her role as the spoiled and vile daughter of Joan Crawford in Mildred Pierce. In this new and important biography, Ms. Lynch rectifies the situation by giving Ann Blyth her rightful place as one of cinema’s greats. John: Welcome and thank you for taking the time to do this. 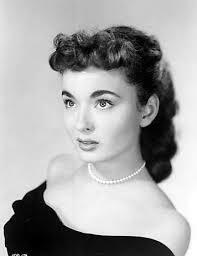 What attracted you to write a biography about Ann Blyth? Jacqueline: Thank you for the opportunity to visit, John. The book began as a series of posts on Ann Blyth’s films on my Another Old Movie Blog. Classic film bloggers, as you know yourself, have an endless and fascinating range of topics to discuss, and one thread will lead to another. 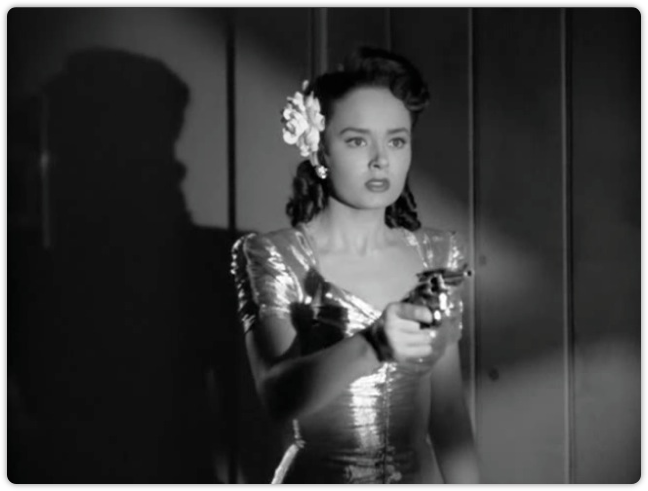 I had been writing the blog for several years, but in that time had only discussed a couple Ann Blyth films. I had always wanted to do more, never got around to it, and finally decided to pick a few. I looked at list of her films and was shocked by two things: 1) I had only seen about a third of them, which surprised me because I had been a fan of classic films since I was about two years old. I have seen thousands of old movies in the past fifty years. I didn’t come to the game late. So why haven’t I seen more of her work? 2) When I tried to locate the films on DVD or VHS, or scanning the programming for Turner Classic Movies, I discovered that most of her films are difficult to obtain. I managed, one way or another (noir-ish mood music here) to find all but one—and this last film finally came to me through a longtime Ann Blyth fan who saw a muddy homemade DVD copy of it for sale online. I was well into finishing the book manuscript by the time I got it. So, because of this intriguing challenge, I decided to spend an entire year blogging about her, her movies, TV and stage career, and to explore the Hollywood experience through the career of one person. It has been an epic journey into popular history of the twentieth century, and grew into a book at the suggestion of readers of my blog. For nearly two years, this project has consumed me like none other. For quite personal reasons, I feel so happy and fortunate to have had this experience. John: The title of the book is extremely appropriate. Ann’s talent and her career were multifaceted. How much thought do you give to the title of book, this or any other? Jacqueline: A book’s title is what often immediately draws a reader, and for this reason it’s a very important decision to make. Also sometimes an excruciating decision. For this book, I tried to make the title summarize for the potential reader the focus of the book—her career as opposed to her personal life, and to reflect that her performing career was multifaceted. The title is direct, frank, and seems to complement the glamorous, yet enigmatic photo on the cover. John: What was your greatest challenge in doing a biography? Jacqueline: Finding sources for the photographs. It’s difficult, especially in this Internet age when images are shared and copied freely, sometimes illegally, to find the names of the photographers and possible copyright ownerships, and to whom one should apply for permission for use. It takes a lot of detective work, and, frankly, expense. There were many photos I would love to have used, but my budget was limited, and I regret that. As for the particular problems in writing a biography, I don’t find it too different in terms of research to other works of non-fiction history that I’ve written. I suppose I tend to approach everything like a historian. I’ve been in the process for a few years now (I hope to finish next year) a book on Melzar Mosman, a little-known figure today, but in the nineteenth century a giant in the art and industry of crafting bronze statuary. That book will also be told—a history involving the Civil War, the Industrial Age, the Belle Époque—through the angle of one man’s career. Of course, Ann Blyth is not just a figure from the mid-twentieth century whose life and career were left there. She’s alive, and her career, in one venue or another, was long, thriving to her senior years. She continues to lend valuable input in her visits to classic film festivals, and this was a special—not challenge, but aspect—to writing this book that made it a wondrous experience for me. John: You made a choice to write mostly about Ann’s work and not focus on her private life. I also got the impression she was a very private person. Jacqueline: Yes, she is a very private person, and I respect that. I don’t feel that film stars owe the public anything but a good performance. Moreover, without Ms. Blyth’s cooperation, there is very little that I could accurately write about her private life. I know many film star biographers cobble together “personal and intimate” biographies from hearsay and newspaper clippings, but accuracy in such cases is negligible. The main reason I chose to focus on her work is twofold: one, I really am very interested in the career, the nuts and bolts of an acting career as opposed to rumors and the tales of the requisite scandals we’re usually fed in film star bios. The second reason is that when writing a book, one must decide the focus, or the book will fly off in all directions. When it comes to writing a book about a film star, unless you’re prepared to write a set of encyclopedias, you can’t fit in everything, you’ve got to narrow down your focus. Most biographers choose to focus on the private life, giving the career a cursory glance. As a reader interested in the artistry of the actor’s work, and the technical aspects as well, this has always frustrated me. Most publishers would also prefer their writers to focus on the private life, assuming that this would be more successfully marketed to the public. Perhaps they’re right. But I am independently publishing this book, so I am free to pursue the course I choose, which is to focus on her career. John: Ann’s mother, an Irish immigrant, comes across as someone special. How influential was she in getting Ann’s career started at an early age? Jacqueline: Very influential in how Ann would conduct her approach to both her career and her private life. That Ann began her career as a child came mainly through the suggestion of friends of her mother’s who, knowing of Ann’s love of playacting and singing, (and possibly also her prettiness) recommended that Mrs. Blyth take her child to try out for a spot on the local children’s radio program that was always looking for new talent. That she actually got the job was a marvelous surprise and began the sincere dream of a future career. Because Mrs. Blyth was a single mother and had to work a lot to support Ann and her older sister (in the middle of the Great Depression), Ann learned early about working hard, being self-disciplined—her mother needed to be hardworking and self-disciplined to support them, and Ann herself needed to be if she were to successfully pursue a career—and that, in an acting career especially, her success would depend on her ability to work with all kinds of people in all kinds of situations. A performing career is really, more than other professions, a collaborative endeavor. Mrs. Blyth seemed to have given her a great perspective on that, and a lot of emotional support for a shy child to deal with the hurdles that would come her way. And, of course, like all the “soccer moms” out there, she made sure Ann got to her appointments, her jobs, her lessons, and did her homework like any kid. Helping Ann to keep things in perspective as a child undoubtedly helped her to be grounded as an adult when dealing with pressures of life in Hollywood later on. John: Ann’s faith in both her Catholicism and her Irish ancestry seemed to have been a consistent driving force, getting her through some rough times, some of which happened right after she made Mildred Pierce. Can you tell us a little about that time? Jacqueline: It must have been hell. She fractures her spine in a tobogganing accident. She might not walk again. She’s in terrible pain, put into a cast. Spends months in bed. Just a 16-year-old girl, whose teen years, not to say at the least a very promising career, were truncated by this awful event. But her mother never leaves her, cares for her, continues to encourage her, inspire her with confidence that she’ll recover. Ann takes her school lessons at home in bed, sticks it out, bides her time, goes through therapy, is told she’ll recover, and sets her sights on earning her high school diploma. She graduates in her wheelchair, but she does it. Things start to look better. Mildred Pierce is doing well at the box office, getting great reviews, and she is nominated for a Best Supporting Actress award, the youngest up to that time to ever be nominated. She goes to the awards ceremony in a back brace. Her mother goes with her to the awards, and it’s the pinnacle of everything for them. However, her mother begins to feel unwell during Ann’s convalescence. By the time Ann has gotten rid of the back brace for good and gone back to work on a new movie, her mother dies of cancer. It’s a horrid set of circumstances, and I suppose her faith, and her mother’s sister and brother-in-law who came to live with Ann at that time, got her through it. She poured herself into her work and made most of her movies during her teen years in an exhausting output. They were great movies. She was a heartbroken little trouper with a tremendous work ethic. John: A couple of themes consistently come through in the book, one of which is that Ann was an extremely nice person who never said anything bad about anyone. Even difficult people like for example, directors Raoul Walsh and Michael Curtiz. Ann didn’t smoke, drink, attended church every Sunday and did not have a “star” temperament. Throughout her career, her life, she did a lot of charity work. She did not seem like the typical movie star. Jacqueline: I think here we go back to her faith and to her mother. I don’t think too many people are born angelic, and the Hollywood press pasting her with that label, I think, negates what must have been a real challenge on her part to keep to the high road when dealing with the ups and downs of her career, and all the very strong personalities that buffet one in Hollywood. I suspect that, along with whatever natural traits of gentleness she may have been blessed with, Ann’s most shining attribute is that she apparently adopted a set of principles early in life and worked hard at keeping them. Perhaps her mother instilled this in her, certainly her faith was big factor. I think she took her faith simply, but seriously. Speaking specifically from the Catholic perspective, for instance, humility is extremely important, and forgiveness. One can go to church every day of the week, but unless one practices humility, forgiveness, charity, gratitude—one is not really, in modern terms, “walking the walk.” I would not presume to explain her spirituality because I don’t have insight into her heart and soul, but I will say that I’d guess she took these simple precepts seriously. She could have thrown in the towel when a year of her life was spent in bed with a fractured spine, but she chose to rely on faith and trust. She could have trashed her life in a despondent spiral of self-pity when her mother died, but she kept it together and went back to work. She could have thrown a colossal tantrum when one of the most important gigs in her career, THE HELEN MORGAN STORY, came along and she was told her singing would be dubbed by somebody else. Instead, she kept the disappointment to herself and praised the singer’s work. Her mother, I think, used their faith to help Ann keep a healthy perspective in her work, to be able to deal with failure as well as success. Ann’s not speaking ill of her colleagues is, besides being nice, simply practical and prudent professional behavior. Discretion was learned as part of a set of manners. Her personal devotion was, I sense, a source of comfort in a crazy world where she learned, from a young age, that bad times and good times come to everybody, and life is fleeting and precious. She learned not just to look on the bright side, but to be truly grateful. No, I don’t think she was a typical movie star. And yet, that is the paradox, because I think she enjoyed being a movie star. She just enjoyed other things, too. John: Another theme in the book is Hollywood’s inability to see how versatile an actress and a singer she was. It’s amazing that her singing voice and dancing was not used more. Jacqueline: Hollywood at that time was fascinating, wasn’t it? Producing great works of art in a truly factory-like setting. It was a case of being experts at marketing their popular product to the public, and yet often failing to exploit the value of that product to its best advantage. In Ann’s case, the trajectory of her film career is interesting on two levels. One, on a positive note, she played a fairly wide range of roles, more than most stars of the day, that allowed her what must have been a very satisfying variety of challenges—heavy dramas, screwball comedies, romantic costume pieces, a western, a war movie, musicals. In none of these was she ever playing the same person, so no “Ann Blyth type” ever resulted, a true tribute to her ability. However, on the negative side, Universal, her home studio for many years, and then later MGM, perhaps as a result of this very versatility of hers, failed to “package” her and promote her career as they did with other stars. Was she a dramatic actress? Yes. Was she a comedienne? Well, yes. For some reason, in the studio system of the day, she had to be one or the other, she couldn’t be both—even if she was both. Universal failed to use her singing talent except in her first few movies and then apparently forgot she could sing. Once she signed on with MGM, she got a few musicals, but was no longer offered the great dramas. Mildred Pierce and The Helen Morgan Story were made for another studio, in this case, Warner Bros., and she only got those roles by competing with other actresses in audition. And she blew them away and won the roles. Today we may wonder, how can an actress be so good and yet so awkwardly handled by studios whose main business was the packaging and promoting of their talent? John: When people think of Ann’s films, they can usually come up with only a handful. Most would be surprised she made 32 movies in her career. Films like Swell Guy, A Woman’s Vengeance, Once More, My Darling and Our Very Own all sound fascinating and show off her versatility. Why are so many of these films and others unknown and or unavailable on home video? Jacqueline: I think there are a lot of factors. A fire at Universal in 2008 destroyed much of their vault archives, but supposedly those were copies and masters of their films are located elsewhere. It takes a great deal of expense to produce DVDs from masters, and I don’t really know what the condition of those masters are. As we classic film fans are all too aware, film is not really forever and needs to be restored from time to time, which is expensive. Also, when Ted Turner established Turner Classic Movies, the library originally consisted mostly of Warner Bros. and MGM movies. There’s more variety now, but still a lack of many Universal films, and all those movies you mentioned are Universal. And broadcast TV rarely shows classic films anymore. Many of the copies of Ann’s films I obtained were homemade DVDs, not in pristine condition—some quite poor—that collectors copied and copied again from TV, or transfers from 16mm films. It’s a real shame, because these movies are fantastic. I do know that Swell Guy was shown at a UCLA Film & Television Archive retrospective in 2011, so that’s a little hope. A few of the films I was only able to catch on YouTube when they were briefly posted a couple years ago. They’re gone now. John: Being a photographer myself, I was most fascinated by your background information on photographers Florence Vandamn and Eileen Darby, both of who photographed Ann while she was performing on Broadway in Watch on the Rhine. That entire period of Ann’s career; Broadway, radio, sort of groomed her for her future years in Hollywood. Is that fair statement? Jacqueline: Indeed it did. She learned early very important tools of her trade, and not just in self-discipline and presentation, but in articulation, working with and feeding off other actors, sinking deep into her imagination to pull out a character, building emotion. Both radio and the stage are more organic, less technical venues than a movie set, and rely more heavily on an actor’s ability to carry a scene and sustain the story. In the movies, the cinematographer, the film editor, have more influence on the finished product. Stage actors have a better grounding in their craft than those who only learned their trade on a film set. John: You write that Ann’s acting style was that she worked from the inside out. Her body movements, her voice would change from film to film while most screen actors stayed with a recognized style from film to film. Do you think this helped or hurt her film career? Jacqueline: I think it stymied the studio heads who failed to utilize or exploit her talents fully, but I don’t think it hurt her career as much as the Hollywood press harping on her religious faith and her settled private life. In portraying her as a goody-goody, it made the studio heads seem to think that the public would no longer accept her in heavy roles. She was splendid as Veda Pierce at the age of 16 when nobody knew anything about her. A decade later, she was mocked for even attempting to play the alcoholic Helen Morgan (despite the fact of Morgan’s being demure, soft-spoken, charitable, and a Catholic convert), and was dismissed by the entertainment press as being too angelic. Stupid. She was the Meryl Streep of her day. But Ann, with a trained voice, sang with a wider and more impressive vocal range than Ms. Streep. John: It seemed that when Ann was still at the top her movie career it ended after The Helen Morgan Story. Yet, she had a varied and long career still ahead. Can you tell us a little about those years? Jacqueline: She did some sporadic television in a variety of roles – lots of quirky dramas where she played wronged wives, murder suspects and villains, but also a string of really lovely musical guest spots on 1950s variety shows. I managed to collect from devoted fans a few copies of these episodes, and one long-time fan had some audio recordings of several of her musical appearances with Dinah Shore, Eddie Fisher, Perry Como, among them, that are splendid examples of her astounding vocal technique in pop music. In fact, on the DINAH SHORE SHOW she got to sing one of the ones she could have sung THE HELEN MORGAN STORY, a blues-y version of “Can’t Help Lovin’ Dat Man,” which was one of Helen Morgan’s signature tunes. Her voice is low, edgy, absolutely devoid of any operetta-like quality she used in her movie musicals, and emotionally tearing. You hear that once and you think, what was Jack Warner thinking? It proves she should have sung in THE HELEN MORGAN STORY. I wish more people could hear it. But while TV offered some fun work, she really took off in regional theatre for the next three decades. Theatre is tough work, and though she kept it to a minimum for her family’s sake, she really toured all over and seemed to enjoy getting back to the stage, earning great reviews in some of the most famous musicals. John: Did she give up on making movies? Jacqueline: No. Not really. I think if a good role had come along in the 1960s or beyond, she might have taken it, but the industry was changing, women’s parts weren’t great, and she still had to fight this ridiculous stereotype of her goodness. Also, her children were small and she didn’t want to leave them. I believe she was up for a role which would have reunited her with Burt Lancaster in THE DEVIL’S DISCIPLE (1959), but it was to be filmed in England and she didn’t want to leave her family for how many months it would have taken. Movies were not being made in Hollywood anymore. She just couldn’t find roles or projects that appealed. Several stars of the studio system years took on any work they could, including some pretty campy horror stuff just to keep their careers going and stay in the public eye. Ann, being a multifaceted person as well as a multifaceted actress, went in other directions. John: You point out something interesting from a pop culture point of view. There was one episode in Quincy M.E. which Ann guested starred in along with Lola Albright, Robert Alda, Dane Clark and a few others. All these actors ranged in age from their mid-50’s to their 70’s and were not playing retirees but as you write, “movers and shakers of their profession.” I doubt today, with our youth oriented culture that on TV you would see this kind of guest list. Jacqueline: Probably not. I know Betty White is very popular now, God love her, but she’s really presented as a kind of dotty buffoon. Clint Eastwood still commands respect, but he’s a Big Movie Star in his own realm, while TV has become very youth oriented. John: One final question, actually two. Did you get the opportunity to talk to Ann? And do you hope she reads your book? Jacqueline: No, I did not speak to Ann, but contacted her through her representative. Do I hope she reads the book? I don’t know. That question, John, sort of stopped me in my tracks. I never really thought about her reading any of this, once I received word that she declined to participate in the project. She has had plenty of press over the decades and learned long ago to take it in stride. I don’t imagine she’d be very interested. I wouldn’t say that I hope she reads it, but rather than if she reads it, I hope she’s not disappointed, and forgives my temerity for being a stranger attempting to guide other strangers through her career. Thanks very much for this interview, John. I really appreciate your interest in the book and your support. This entry was posted in Interview and tagged Ann Blyth. Great interview. This book will be a wonderful tribute to Ann’s career. One point about Ann playing Helen Morgan – Helen was a soprano and Ann’s voice would have been perfect. I can’t think what the studio were thinking,dubbing Gogi Grant’s voice. Thanks Vienna! Jacqueline points out the same thing in the book about Ann’s voice being perfect for Helen Morgan. Grant was a popular singer at the time and it seems the studio was just set on her doing the singing. They even gave her a screen credit which seems to confirm that it was a commercial move. Fascinating interview and information, unknown to me, about Ann Blyth. I had no idea she’d made so many films. I’m looking forward to reading Jacqueline’s book and learning more. i’m sure you will find this book fascinating. Absolutely spectacular interview for a marvelously engaging writer! What I found most ironic about Ms. Blyth is that her true nature was a complete contradiction of the one she played in her most famous film, MILDRED PIERCE. And also a bit surprised she is so private, yet she is highly regarded for her decency and charity work. No doubt this book is well worth obtaining!! Sam, this is an engaging read. Ms. Lynch covers her entire and varied career. Blyth is someone who should be better remembered today, not just for Mildred Pierce! But for her wide variety of roles she tackled.